We'd love to hear how you ate more raw food and lost weight. Tell your own story, but you can use the questions below for ideas on what to write about. What percentage of your diet was raw food? Why did you try the raw food diet? Did eating a raw food diet help you lose weight? How much weight did you lose and how many months did it take? What were the benefits and challenges of eating raw food? Did you have other health improvements as a result of eating raw food? Are you still eating a raw food diet? Scroll down to read stories from people who've successfully lost weight by eating a raw food diet. 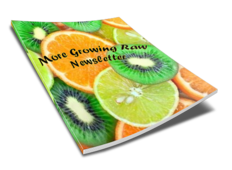 Have you lost weight by eating raw food? What’s your raw food weight loss story? No Flabs or Bulge Anywhere!